Humpback Whales can be found in all the oceans of the world except in the polar seas. I have shot many humpback whale pictures in both the North Pacific Ocean and the Atlantic Ocean. I really enjoy capturing pictures of these mighty creatures as they swim by, displaying the hump by which their name was devised, then gracefully slipping into the depths of their sea world with a wave of their tail flukes. Here is our scientific information and facts about humpback whales. 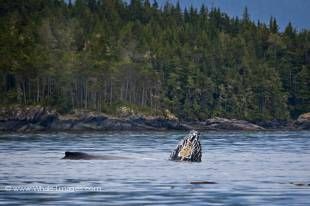 Most of our Humpback Whale photos are taken in Canada. Please make sure to visit our main website with more Humpback Whale pictures and Photos.